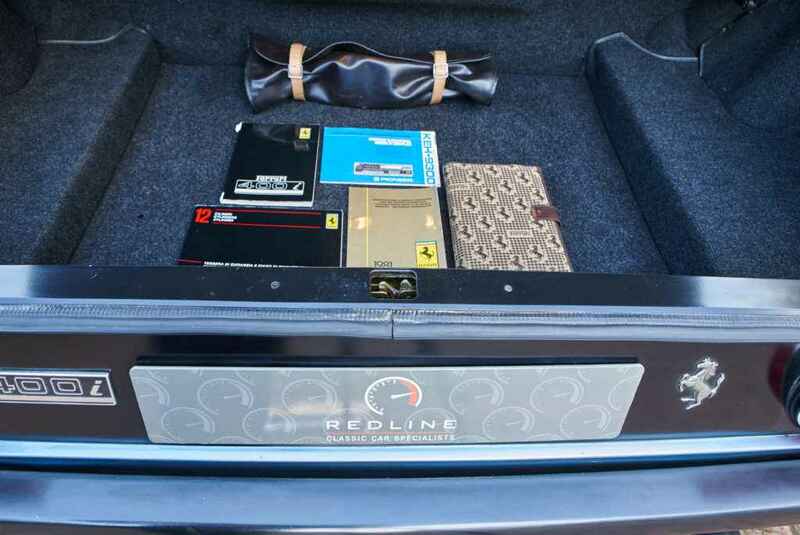 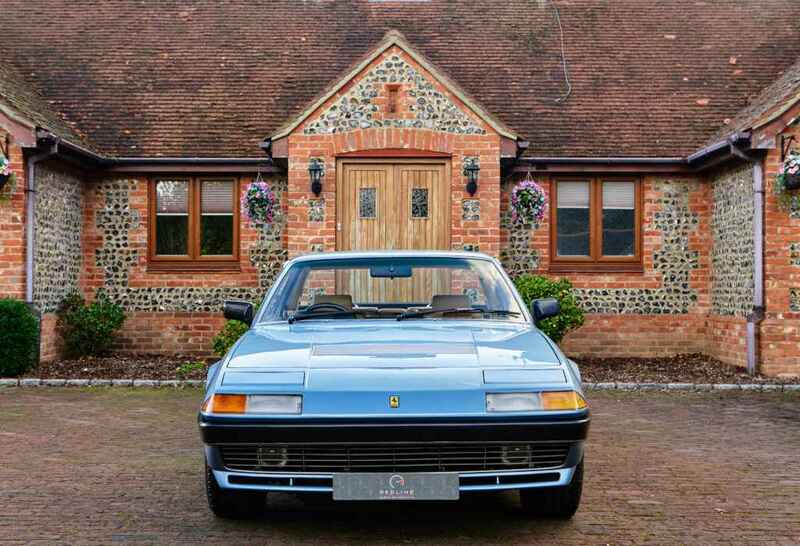 Redline Engineering UK Ltd is delighted to offer for sale this lovely Ferrari 400i. 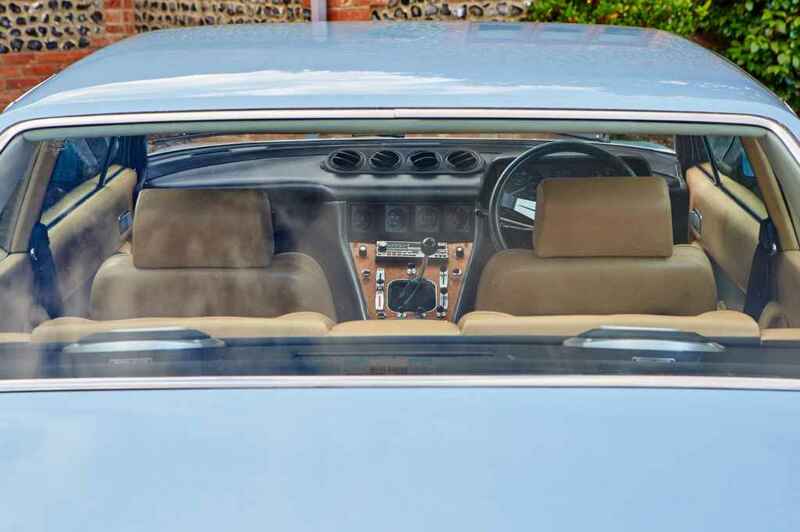 Finished in Azzurro Blue Metallic with Beige / light Blue leather interior. 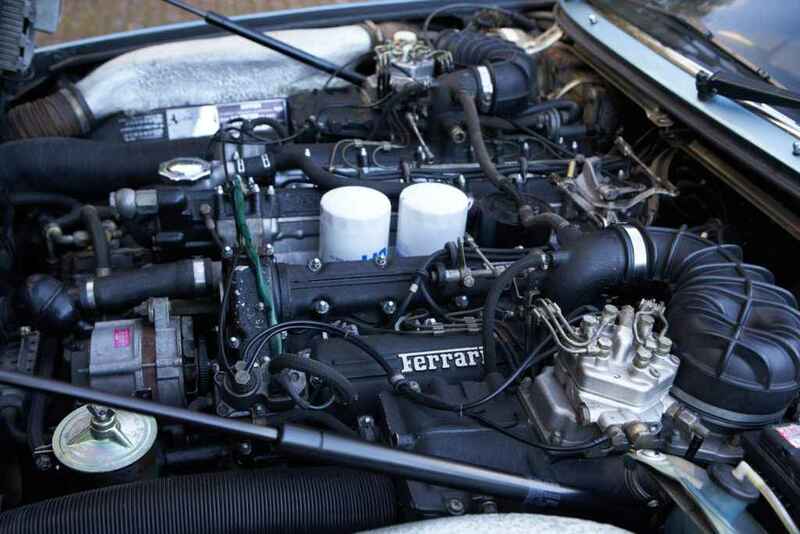 .4.823cc V12 engine mated to very rare 5 speed manual gearbox. 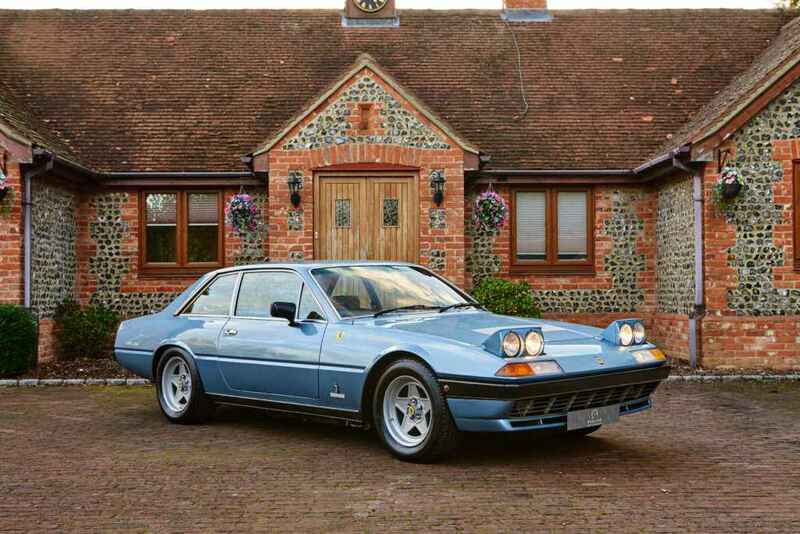 .RHD 52,531 miles, 6 owners from new. 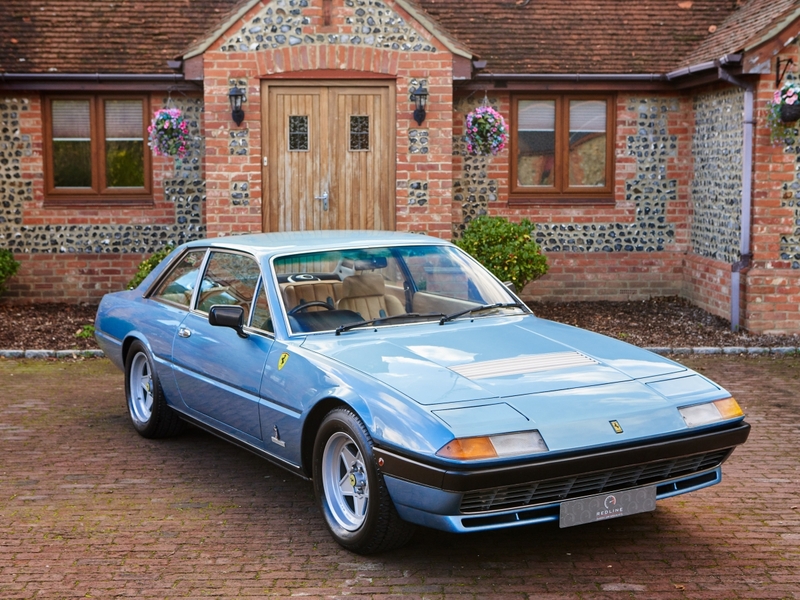 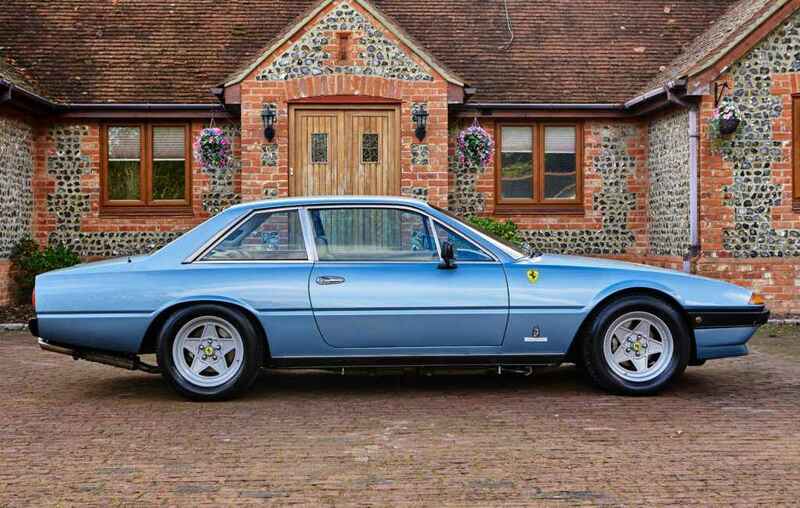 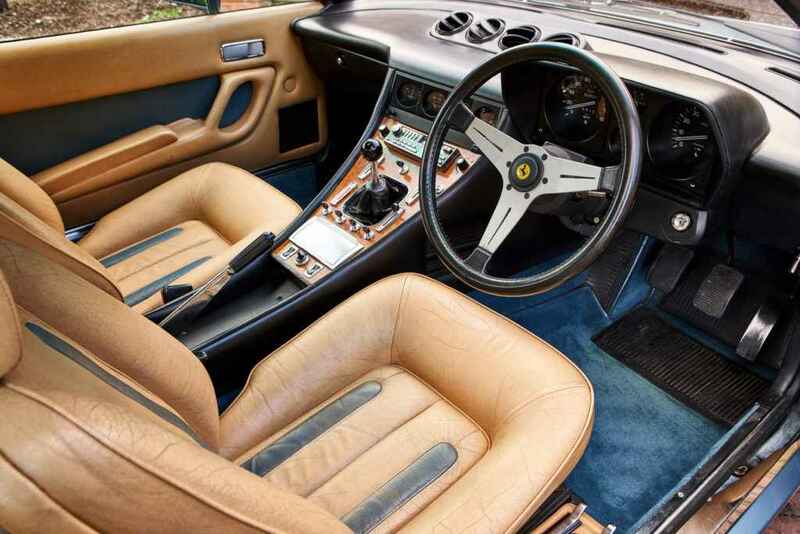 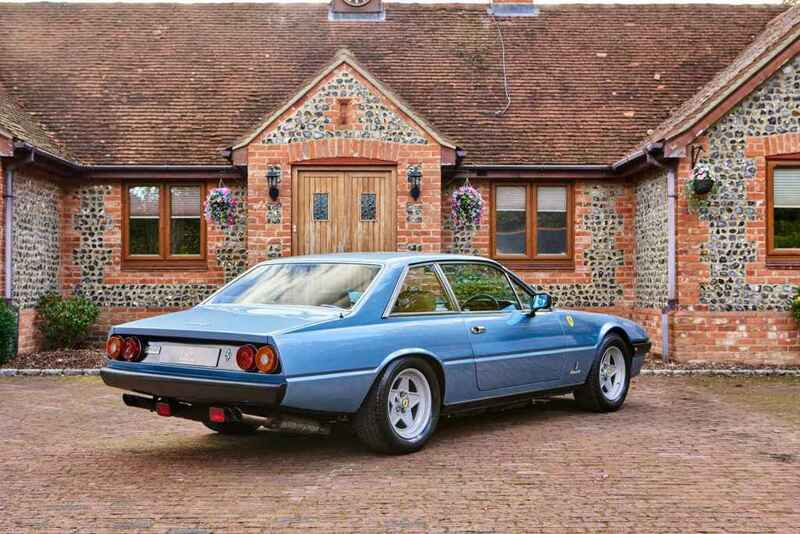 This 1982 Ferrari 400i, was supplied through Emblem Sports cars on 9th November 1982 to its first owner, a Mrs A Fournier of Poole. 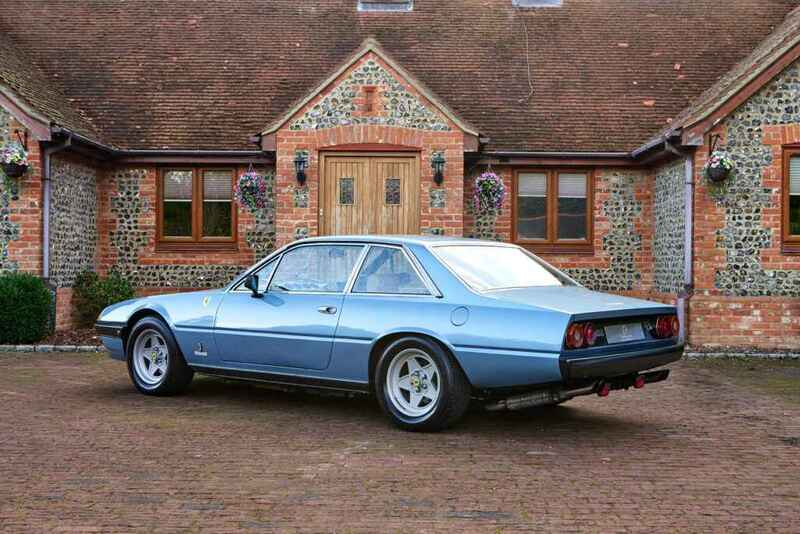 Finished in Azzurro Metallica with Beige/Sky Blue hide. 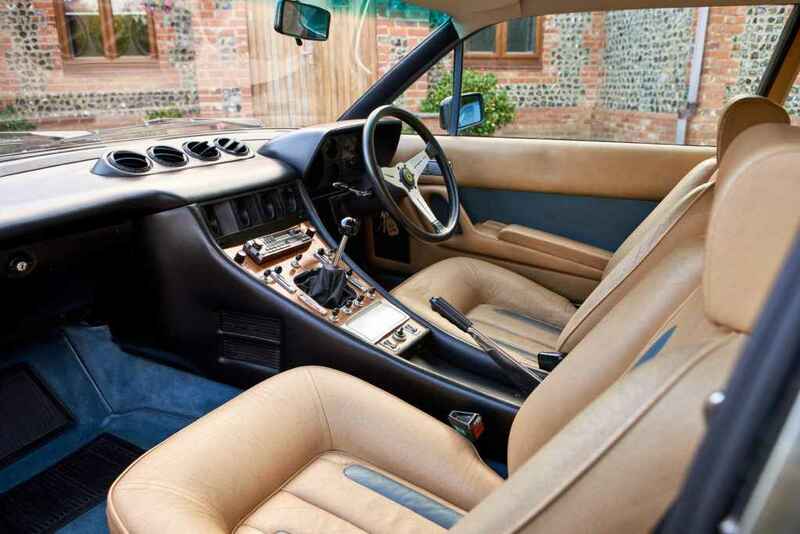 Specified with Royal Blue carpets along with desirable rear air-conditioning – a £710 option from new! 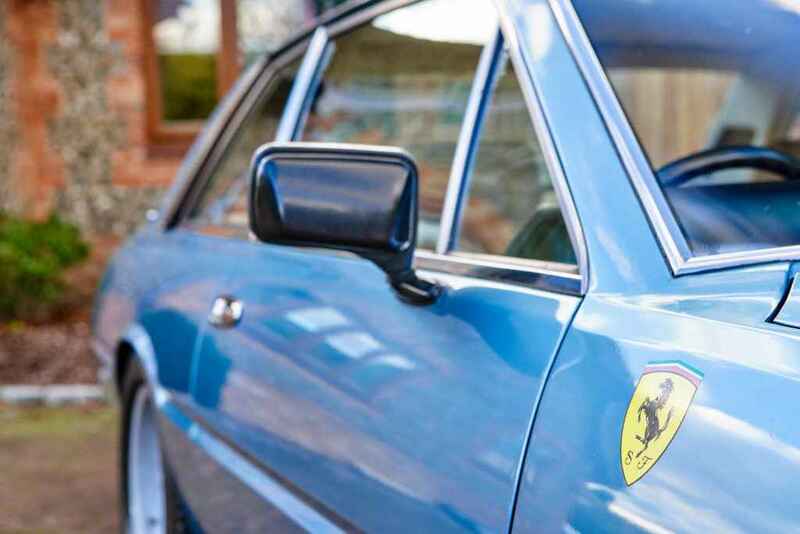 After a couple of years of ownership, the Ferrari was sold to Mr J.D Lawrence who kept it until 2004 when purchased by a Mr J. Connell. 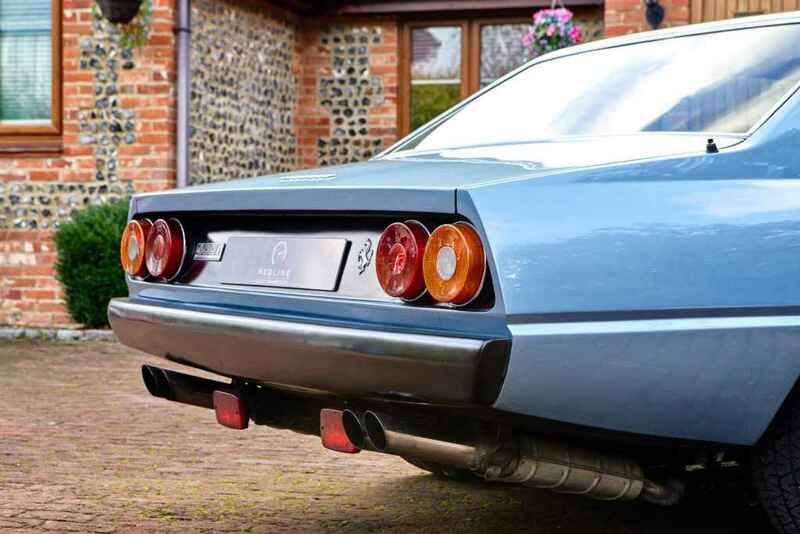 During Mr Connell’s ownership, around 2008/9, the car benefitted from a host of mechanical works undertaken by specialist Neal Lucas Sports Cars. 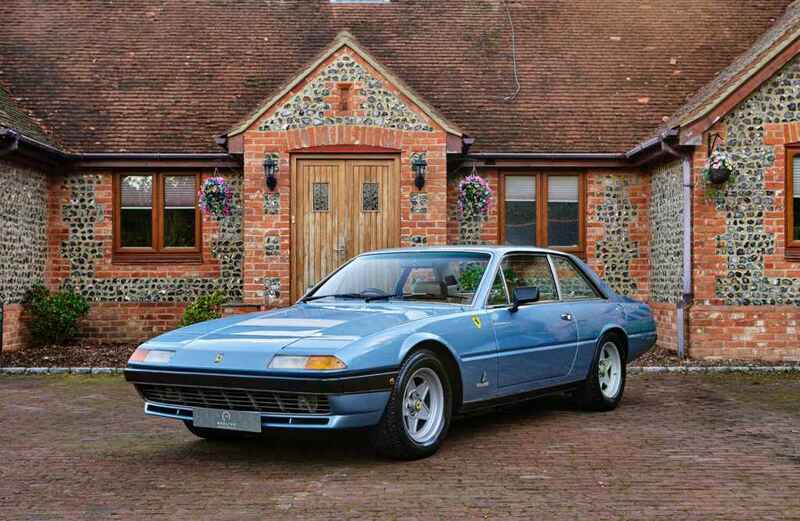 This included a replacement fuel pump and fuel filters, inner/outer rear wheel bearings, rebuilding of the starter motor, a replacement clutch, a front hub assembly overhaul, replacement front brakes disc and pads, and most importantly, an engine overhaul which included replacement exhaust valves, a new head gasket, new timing chain, and new cam covers. 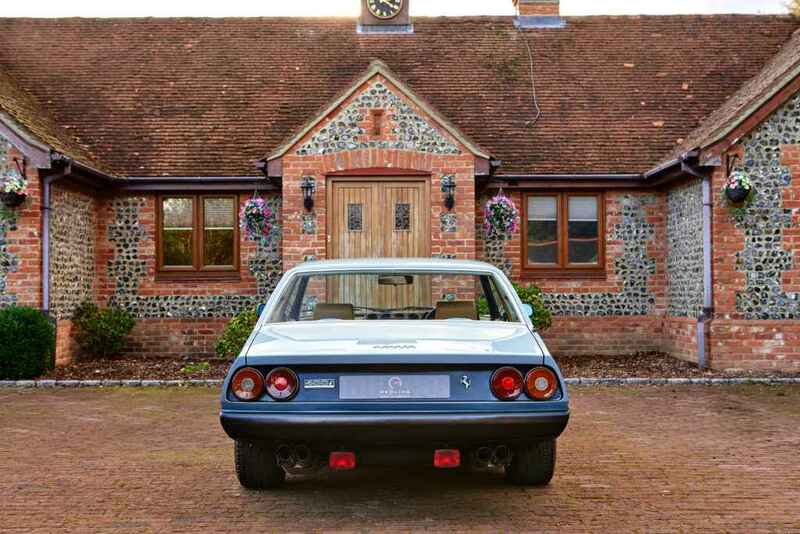 Invoices from the aforementioned specialist total more than £15,000 for this work. 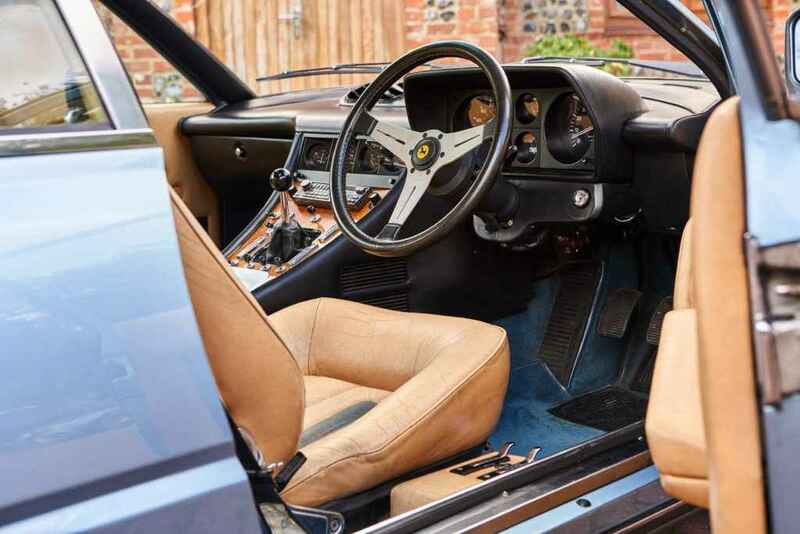 The car is accompanied by its tools and jack, the original book pack containing the service history, service stamps by Emblem Sports Cars, numerous old invoices and bills, MOT’s, photo’s of top engine rebuild. 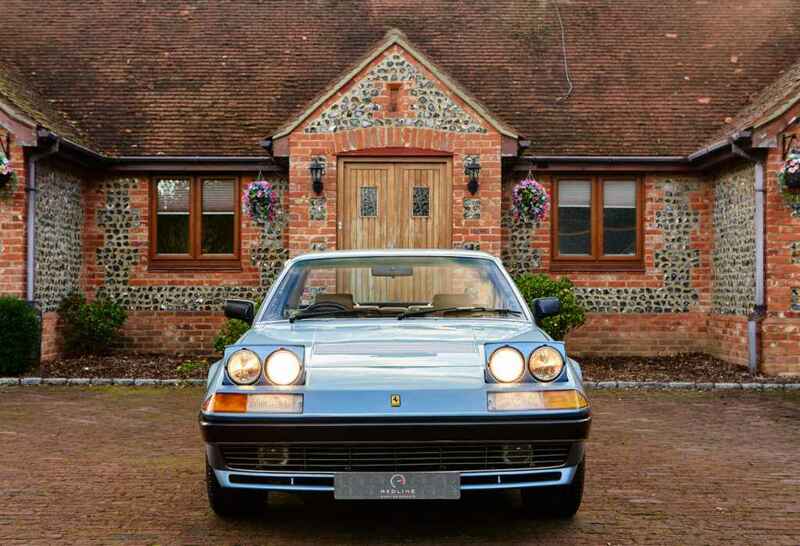 Independent Ferrari specialists The Ferrari Centre in Kent have recently carried out annual service at a cost of over £5000 fresh MOT. 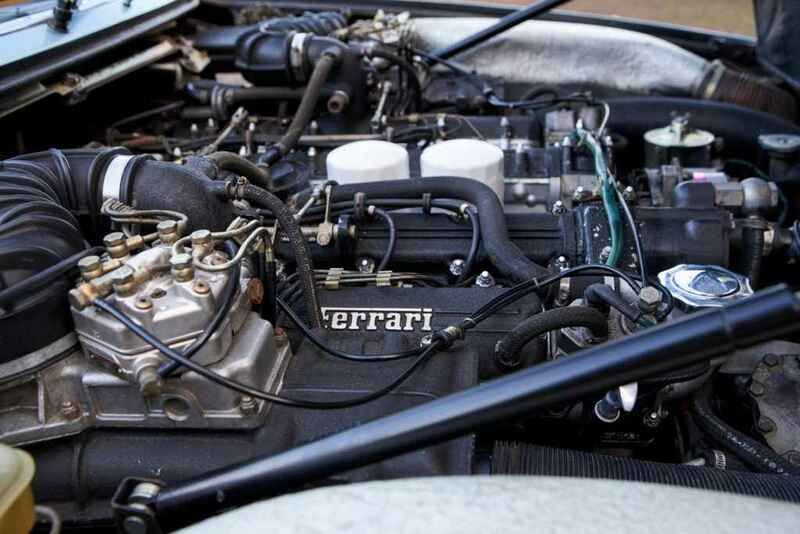 Classic V12 Ferraris are becoming exceptionally difficult to source, particularly really good 400s. 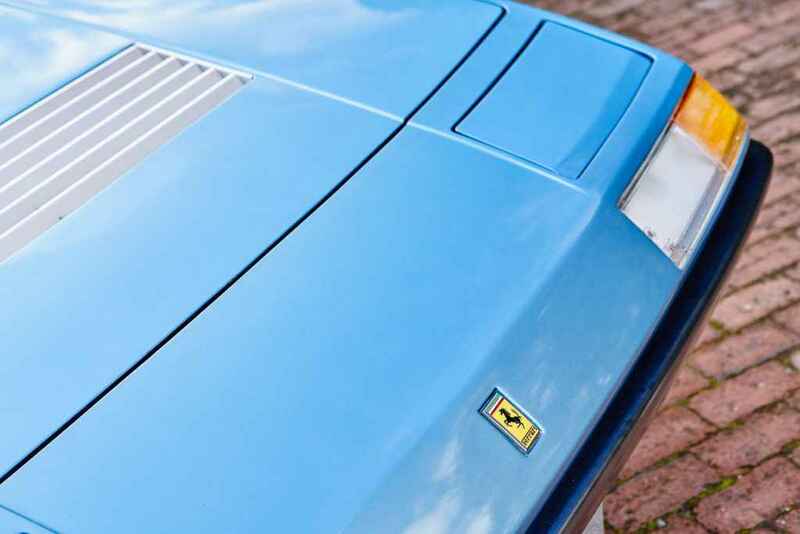 Today this wonderful 400i is in excellent condition both inside and out producing fantastic sound from v12 engine when driven. 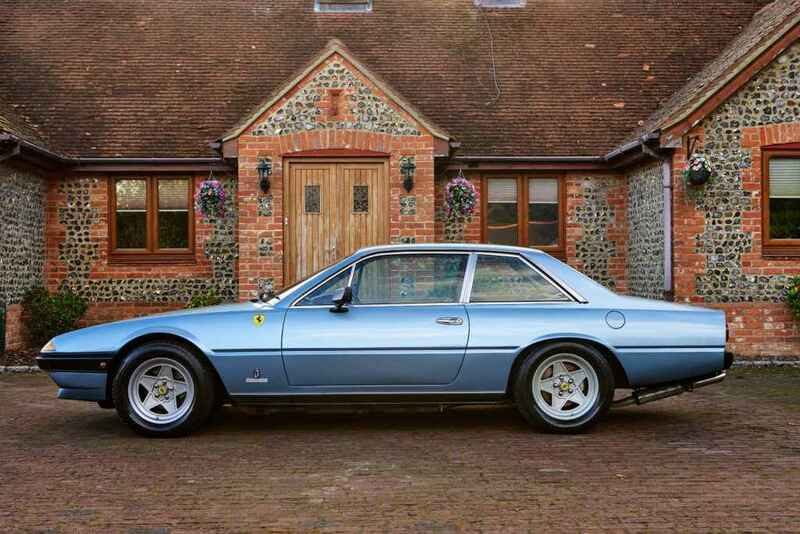 With prices slowly on the rise there’s no better time to own 400i. 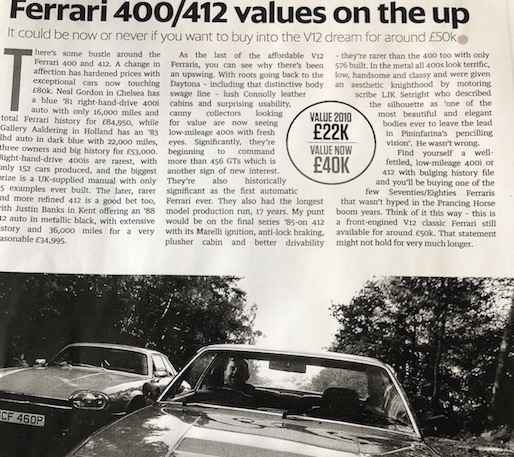 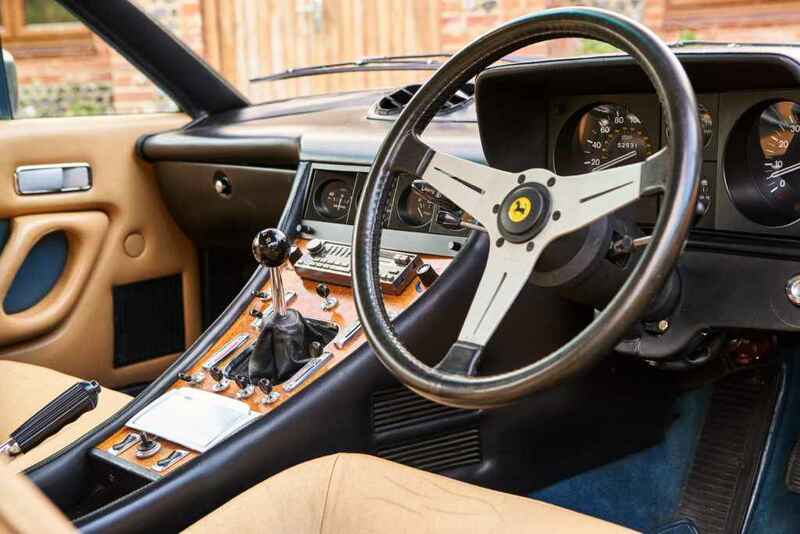 Quentin Willson quoted in Chasing cars September issue “think of it this way- this is a front engine v12 classic Ferrari still available for around £50k. 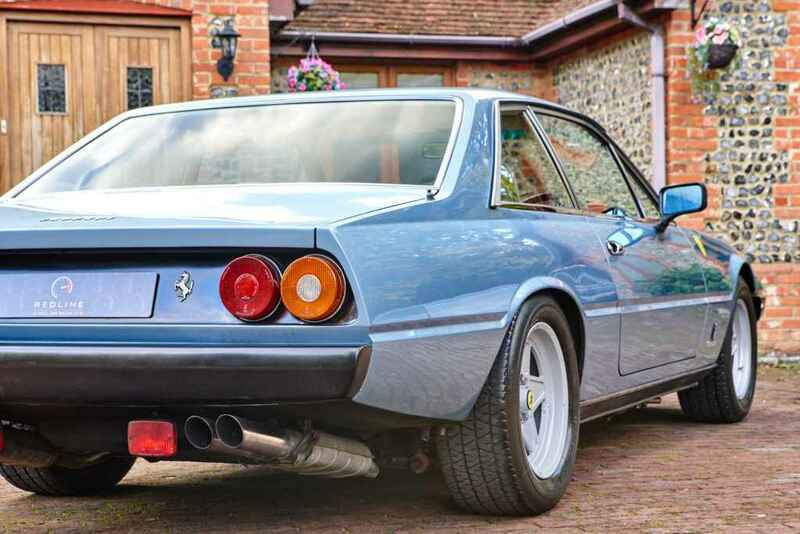 That statement might not hold for very much longer. 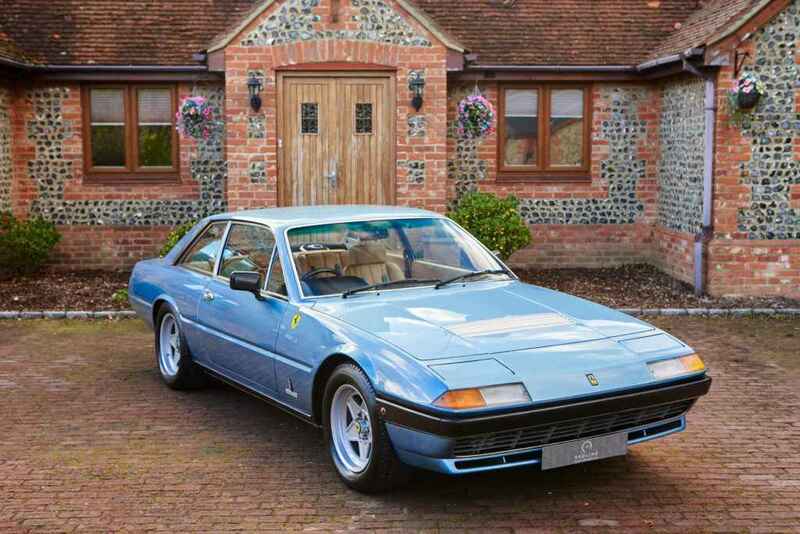 If you’re interested in this classic car or any other cars that we offer for sale, view our full range of stock here.